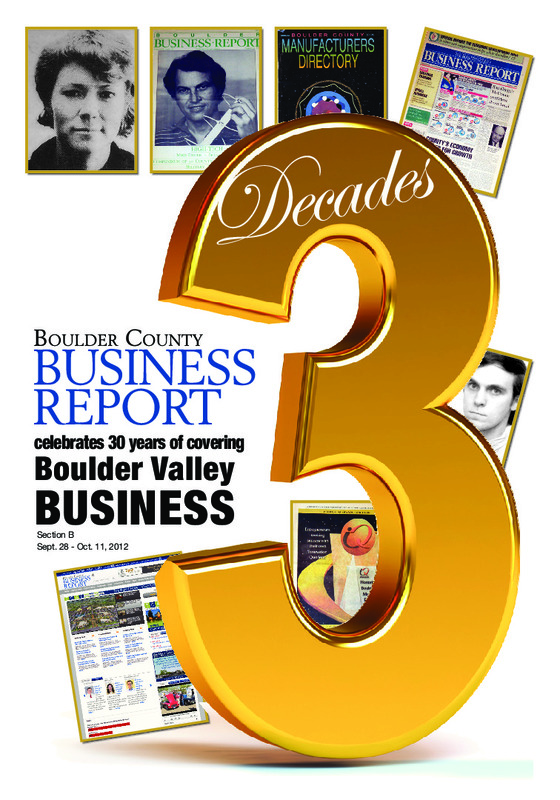 Boulder County Business Report celebrated its 30th anniversary in 2012 with this special publication. Includes a timeline covering 3 decades of Boulder Valley business. Take a step back in time with BizWest as we celebrated 35 years of covering Boulder Valley Business in 2017. Includes column by CU Chancellor reflecting on the university’s business impact; Roots of business success, and challenges yet ahead; Boulder’s startup spirit’s long, varied history; Community leaders projecting what next 35 years might bring; 35 of the Most-Influential people and teams; Region’s challenges in next 35 years; Keeping Boulder weird; and an overview and timeline. BizWest presents the Boulder Valley and Northern Colorado’s 40 Under Forty, recognizing each region’s young professionals who are shaping the future of the Boulder Valley and Northern Colorado business communities. Featuring the next generation of leaders in Banking, Law, Hospitality, Real Estate, Government, Small Business, Big Business, Higher Education, Public Service, Insurance and Outdoor Industry. 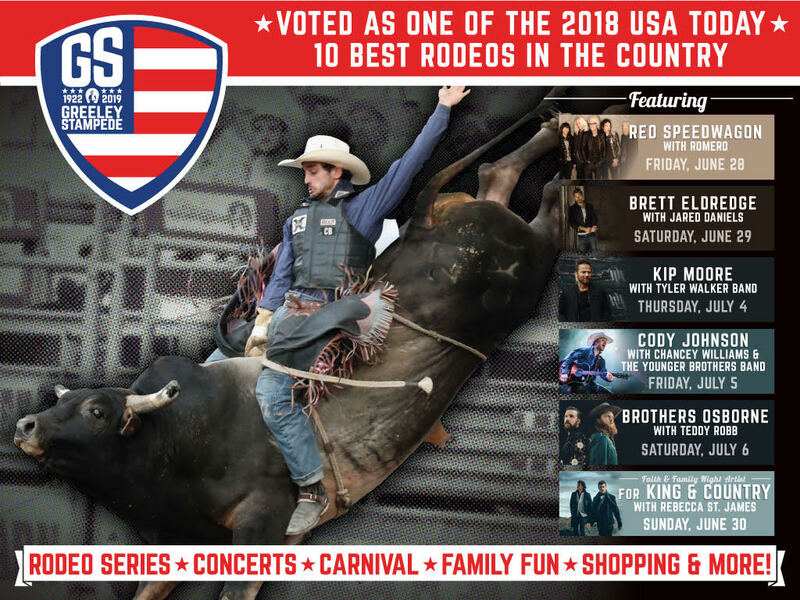 Download advertising flier – 40 under Forty, Boulder Valley. 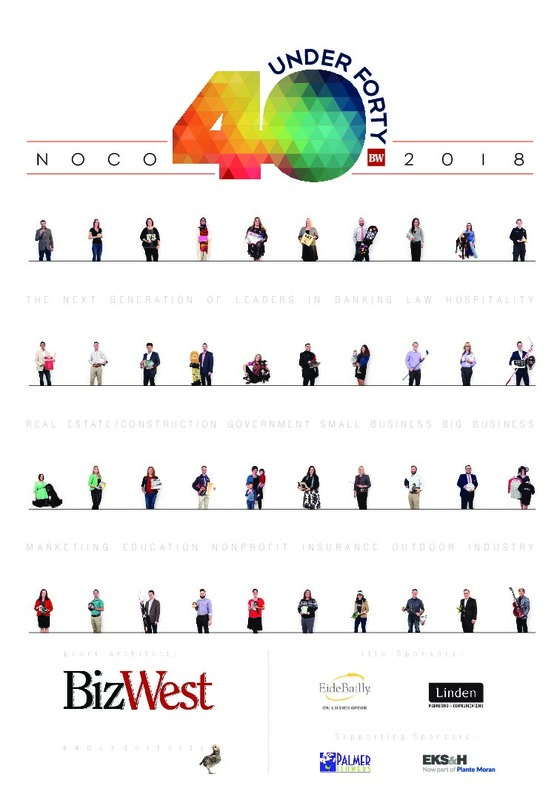 Download advertising flier – 40 under Forty, Northern Colorado. 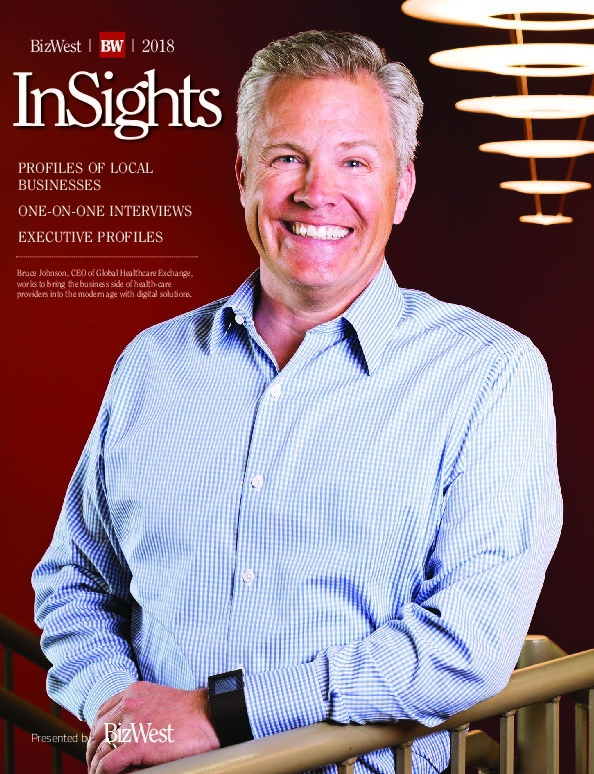 • Profiles of the fastest-growing private companies in the Boulder Valley and Northern Colorado. • Overview of revenue trends among the region’s largest public companies. • Who are the largest public-sector employers in the Boulder Valley and Northern Colorado? • Writeups on the region’s 200 largest private-sector employers. • Who are the highest-paid executives at local public companies? Which companies get the most “bang for their buck” in terms of executive compensation? 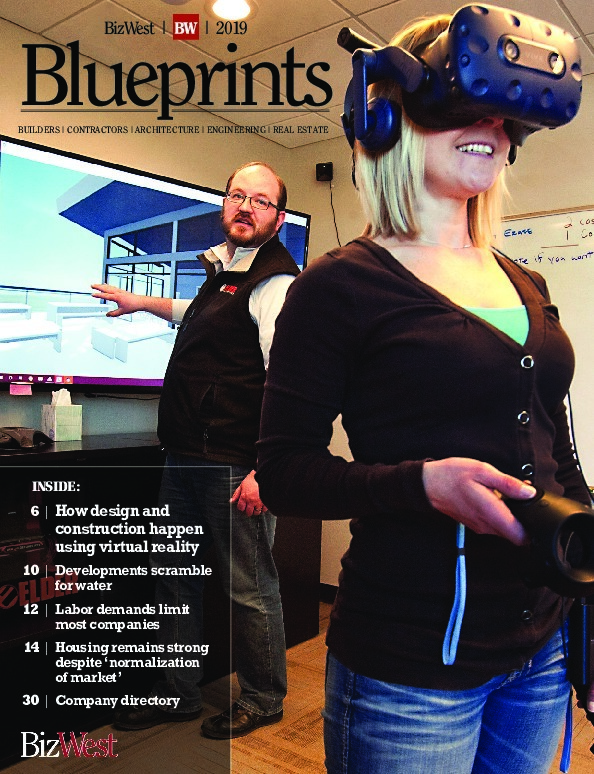 Blueprints provides readers with stories about construction companies, architects, engineers, general contractors, a variety of subcontractors, including ranked lists and an extensive, detailed company directory. Baby boomers boasts the highest level of discretionary income and are prime customers for financial management, health care, travel and leisure, entertainment, upscale retail and many other areas. 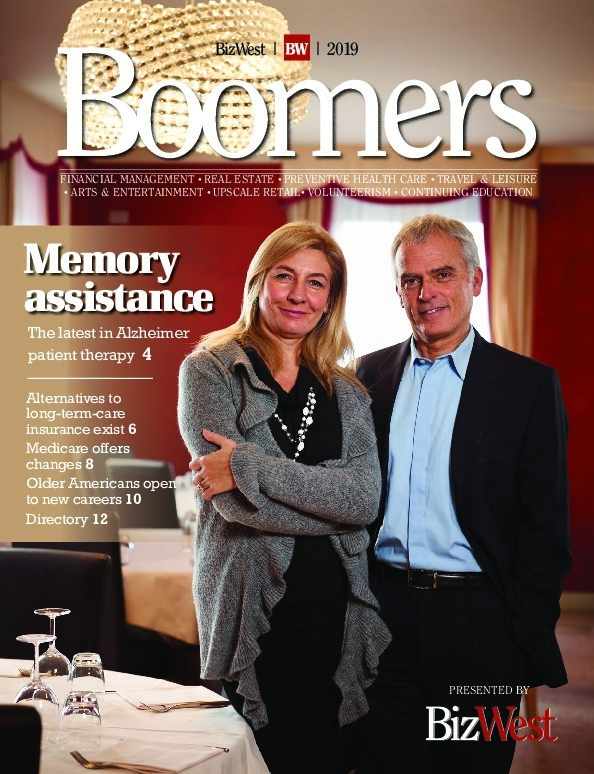 Boomers includes articles tailored to this demographic, along with data on relevant businesses. This special publication includes profiles of this year’s Honorees to the Boulder County Business Hall of Fame. 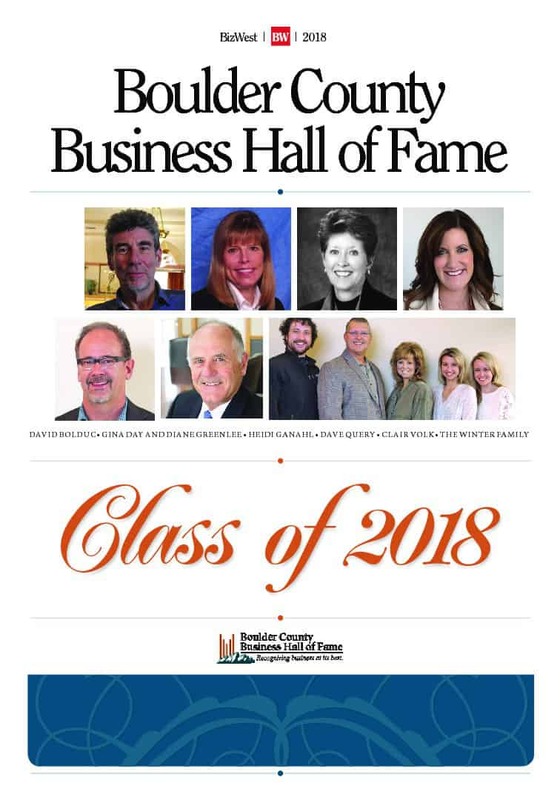 The Boulder County Business Hall of Fame is a private, nonprofit 501C3 dedicated to the encouragement of business excellence in Boulder County by recognizing and inducting Boulder County business leaders into the prestigious Hall of Fame. 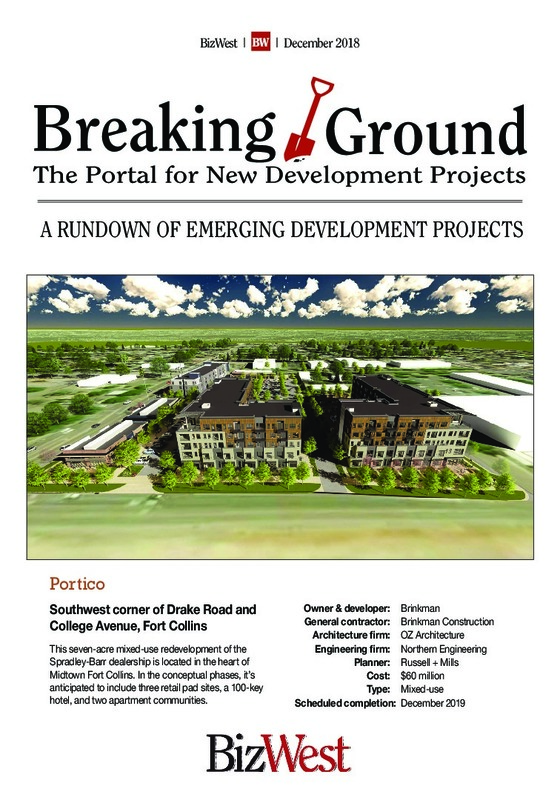 Download flier for Boulder County Business Hall of Fame event supplement. Health care is a growing, dynamic field that is constantly changing. 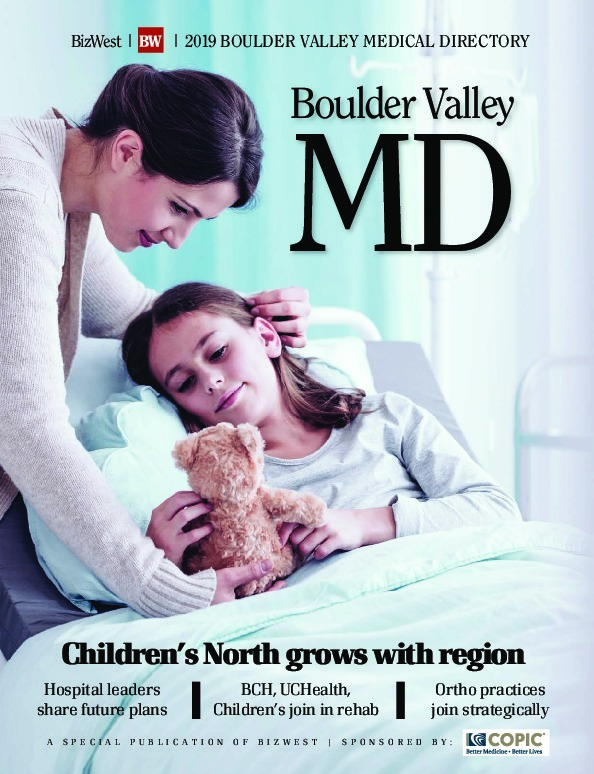 Boulder Valley MD highlights medical providers, identifies health-care trends and provides the region’s most-comprehensive database of practitioners. Distribution: Direct-mailed to companies within the directory, with additional distribution at health-care facilities throughout the Boulder Valley. Since 1998, Bravo! 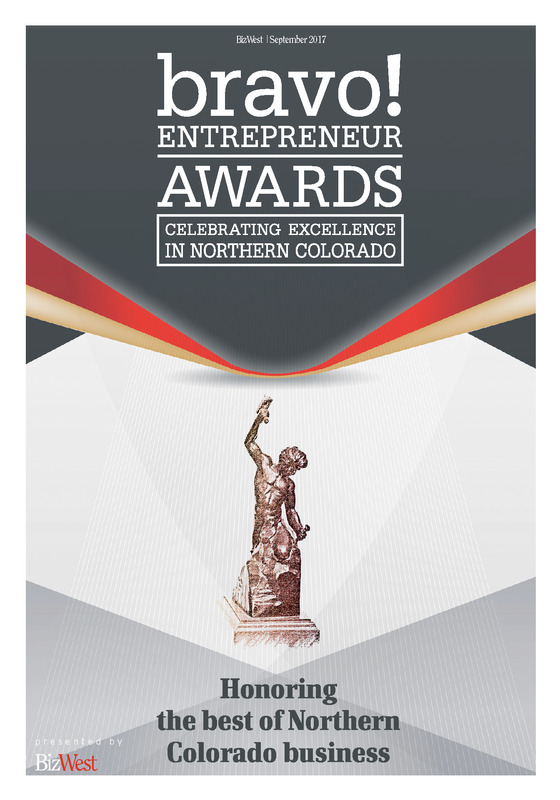 Entrepreneur Awards has been celebrating entrepreneurship throughout Northern Colorado and encouraging new business leaders by highlighting successful entrepreneurs. This is our signature event. Visit bravoentrepreneur.com. 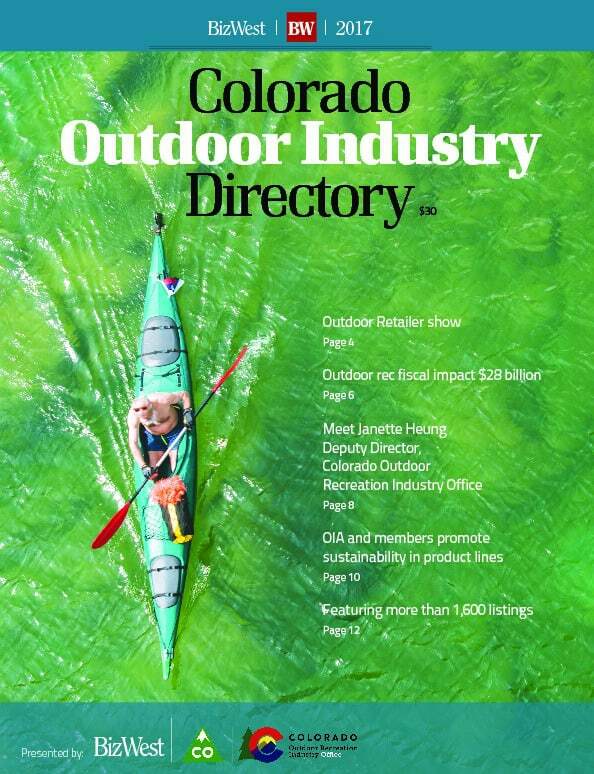 Produced in partnership with the Colorado Outdoor Recreation Industry Office, this directory features Colorado companies and organizations involved in the outdoor-product sector. It includes comprehensive directory listing companies that manufacture and/or distribute outdoor products, in addition to associations and organizations who are involved with recreation. Go to the website for the Outdoor Guide. Colorado Tech is the ONLY resource representing what is becoming the definitive technology hub between the two coasts. Reaches top executives and managers of more than 6,000 of Colorado’s leading companies. 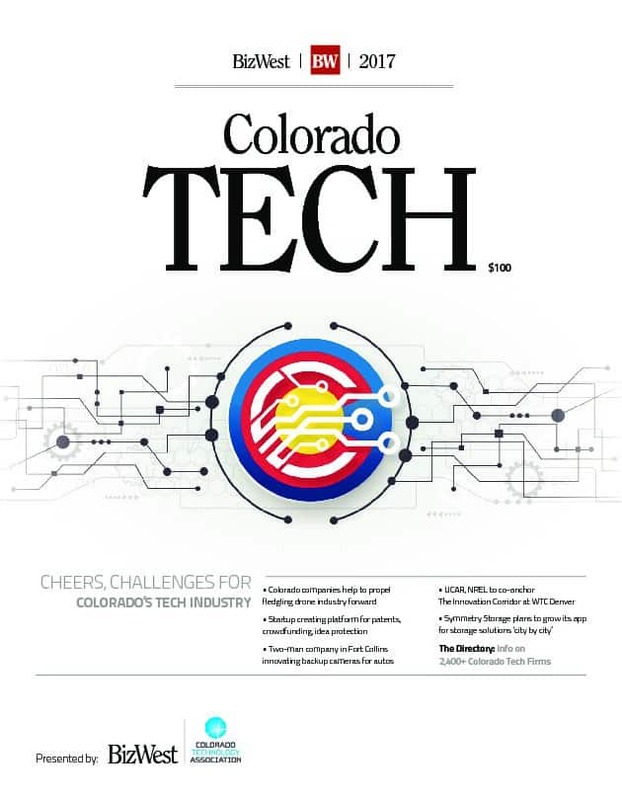 This directory is distributed via the Colorado Technology Association, Chambers of Commerce, technology organizations, Economic Development Councils in Boulder, Broomfield, Larimer and Weld counties, the World Trade Center in Denver and the Colorado Office of International Trade. Spotlighting the economic impact of Colorado and Wyoming’s research universities and federal laboratories and related industries, Discoveries explores the relationship between university and laboratory research and the economic health of the region. 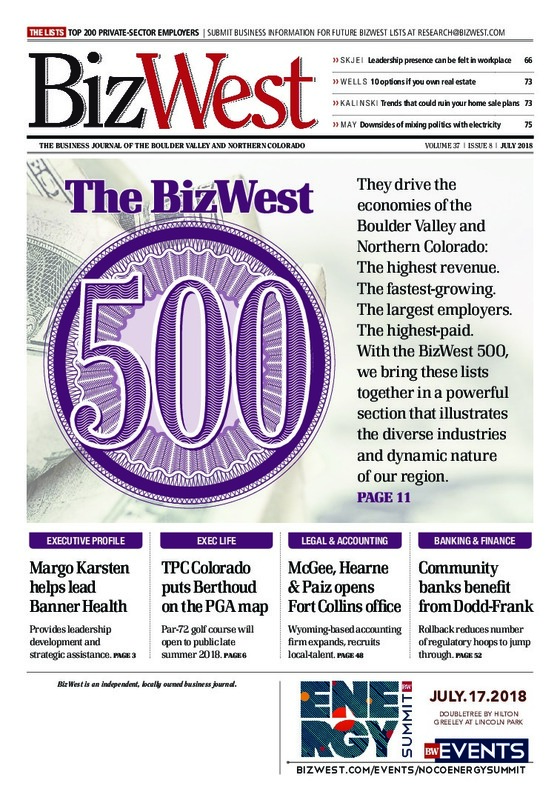 Distribution: Direct-mailed with BizWest and the Wyoming Business Report, with additional distribution through Colorado State University, the University of Colorado Anschutz Medical Campus, the University of Colorado Boulder and federal laboratories. 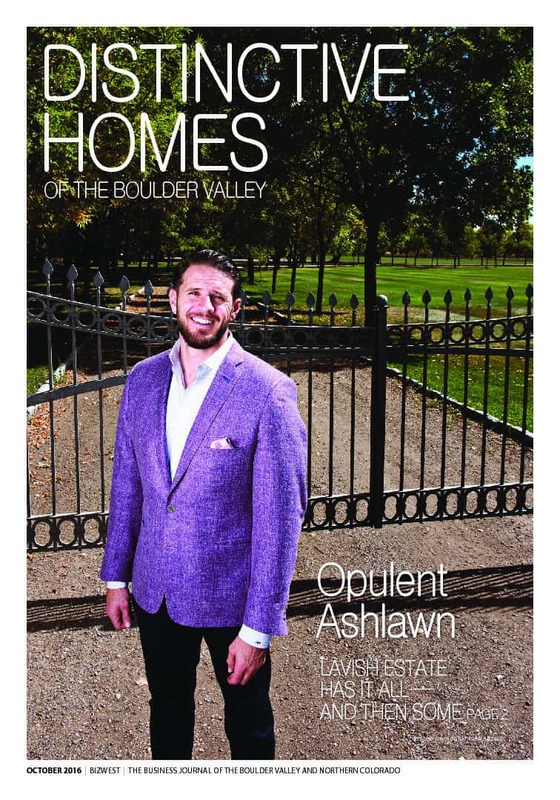 Distinctive Homes of the Boulder Valley allows the area’s top real estate professionals to feature their most distinctive local listings to a readership that includes the region’s most affluent business leaders. Our region is built on innovation, entrepreneurship, education and opportunity. Economic Profile and Market Facts celebrates the growth and vitality of these regions with insightful stories supported by charts, graphs, data and tables offering a comprehensive review of the industries that make these communities vibrant. Focus industries include: Aerospace, Agriculture, Banking, Bioscience, Construction, Economic Development, Education, Employment, Energy, Government, Health Care, Hospitality, Infrastructure, Manufacturing & Technology, Natural & Organic, Outdoor Equipment, Real Estate and Transportation. Includes demographic information for every community in Northern Colorado. In addition, readers will find links to business resources and government agencies. Northern Colorado has emerged as one of the nation’s premiere centers of energy development, including oil and natural gas. 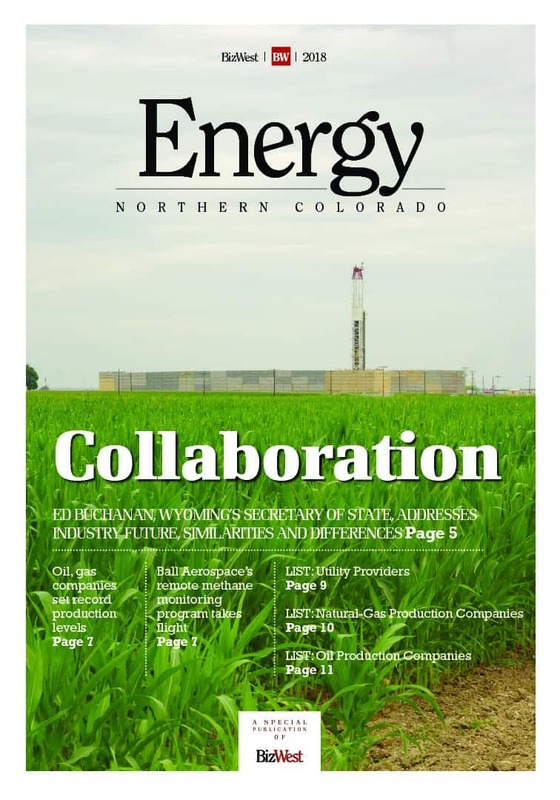 Energy Northern Colorado provides articles, ranked lists and a comprehensive directory of this important sector. 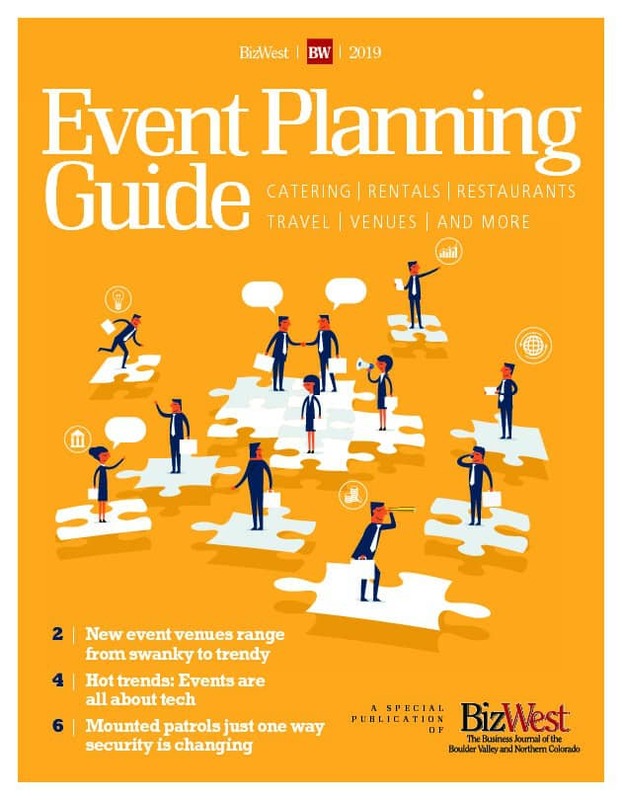 The Event Planning Guide provides essential information for businesses, organizations and individuals planning conferences, meetings and events, with listings of conference and meeting facilities, caterers, audio-visual companies and much more. It also includes helpful articles for event planners. 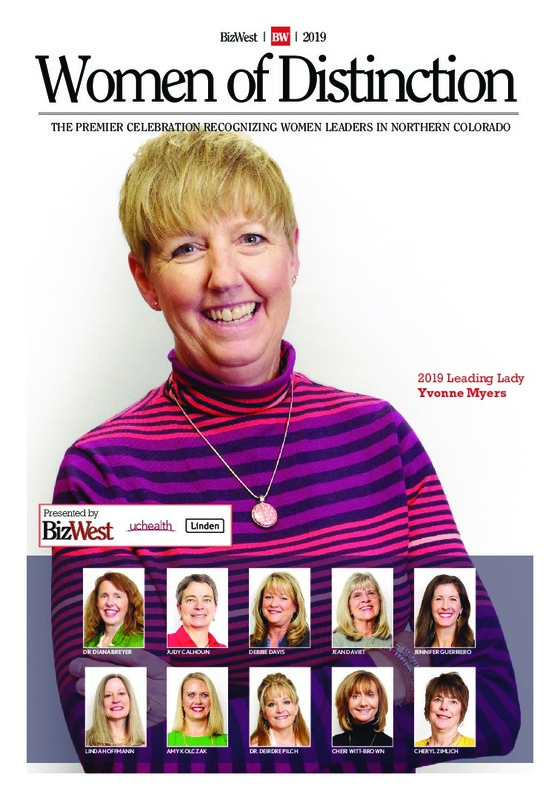 Direct-mailed with BizWest and the Wyoming Business Report. 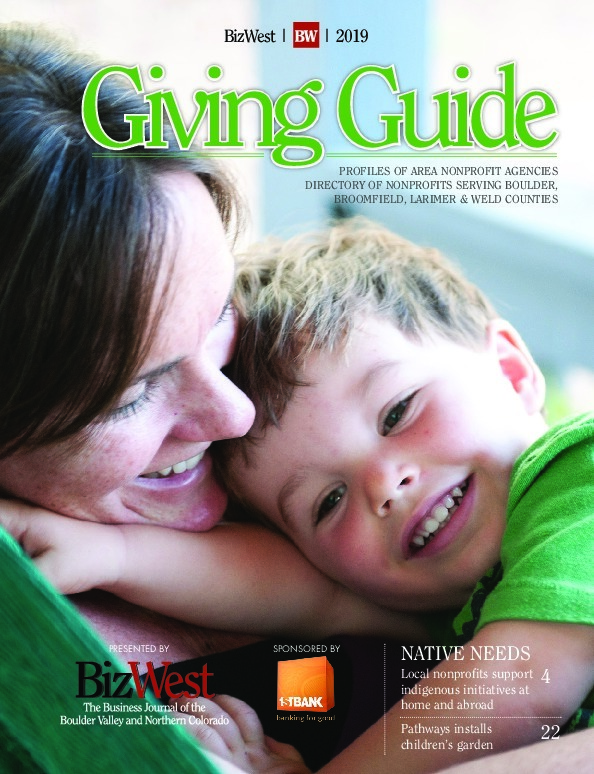 BizWest’s Giving Guide serves as a connection between nonprofit organizations and business and is a widely used resource for learning about charitable organizations and their needs. 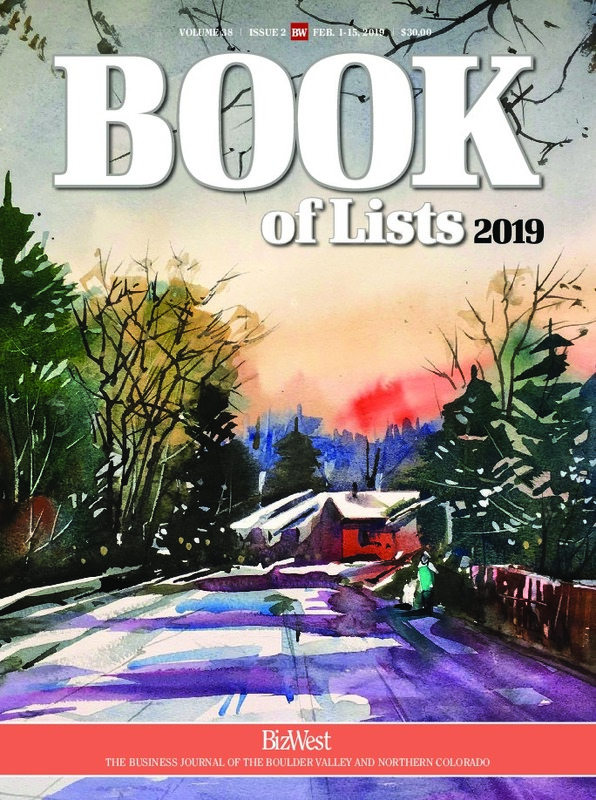 This publication includes a comprehensive directory of nonprofits in Boulder, Broomfield, Larimer and Weld counties. 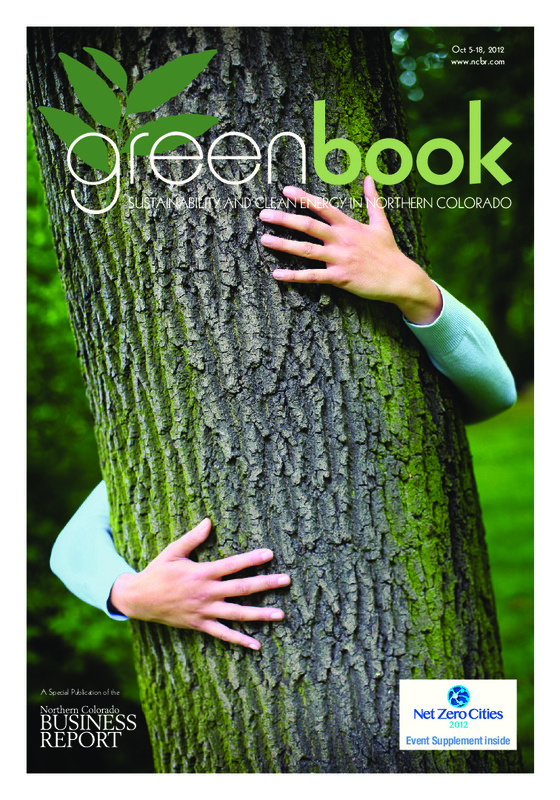 BizWest’s Green Book reports on the environmental mindset of Boulder Valley and Northern Colorado professionals — innovative entrepreneurs and business leaders doing business in a socially responsible and sustainable way. The Green Book showcases our region’s dedication to leading the way in sustainable living and business practices. 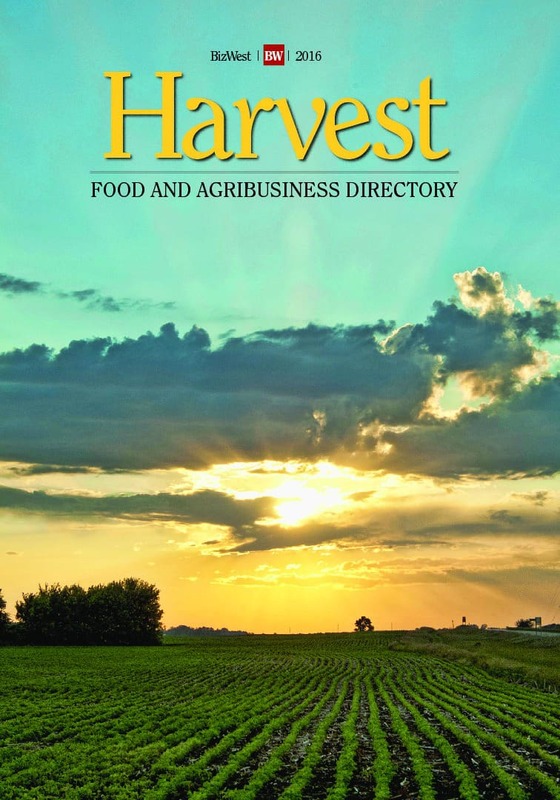 Harvest provides a cornucopia of information for ag producers, either traditional or organic, distributors, technology or any organization that is involved in any aspect of food production. Includes articles, ranked lists and an extensive, detailed directory from agtech to real estate. 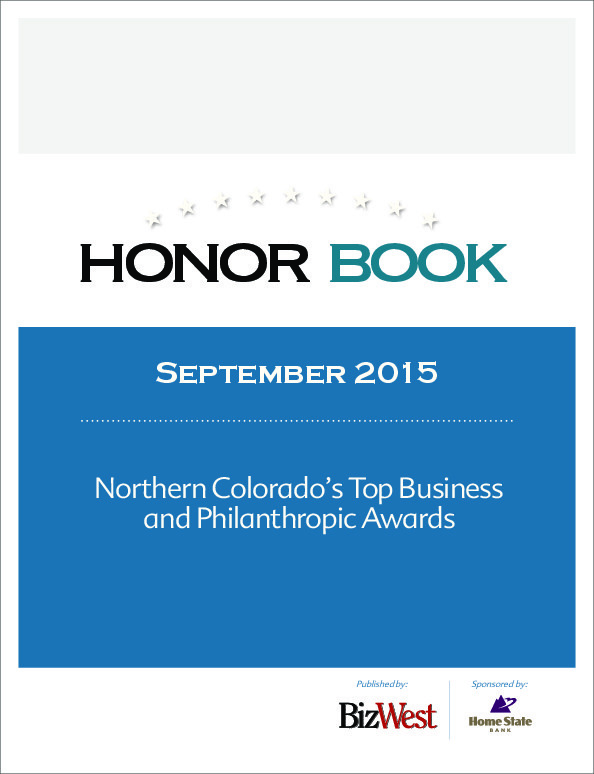 The Honor Book is a collaboration among BizWest Media LLC and a consortium of Northern Colorado organizations, including the Better Business Bureau of Northern Colorado and Wyoming, BizWest, the Community Foundation of Northern Colorado, the Fort Collins Area Chamber of Commerce, the Greeley Chamber of Commerce, the Loveland Chamber of Commerce, the United Way of Larimer County and the United Way of Weld County. Tell your story your way in Business Profiles. Celebrate an anniversary, or position your company in front of business leaders and decision-makers by telling them who you are and how you got there. You control the content, and we deliver it to our affluent readership. Health care is a growing, dynamic field that is constantly changing. 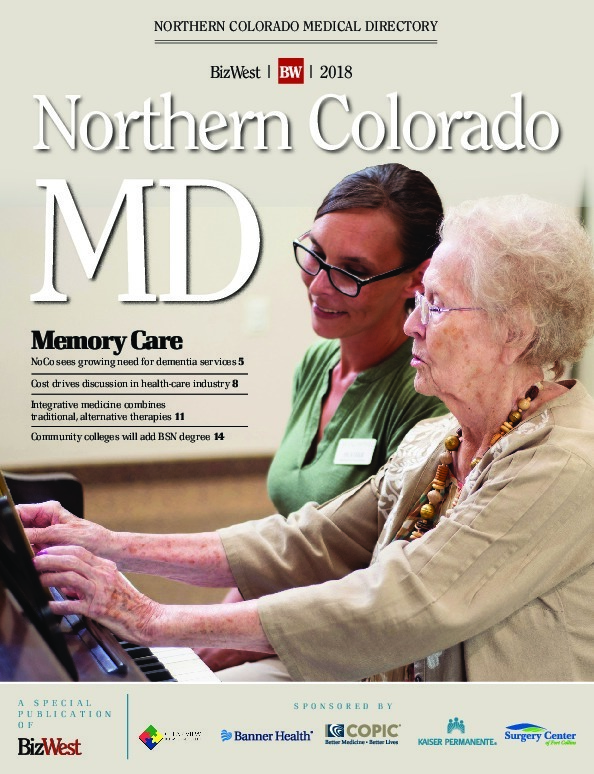 Northern Colorado MD highlights medical providers, identifies health-care trends and provides the region’s most-comprehensive database of practitioners. 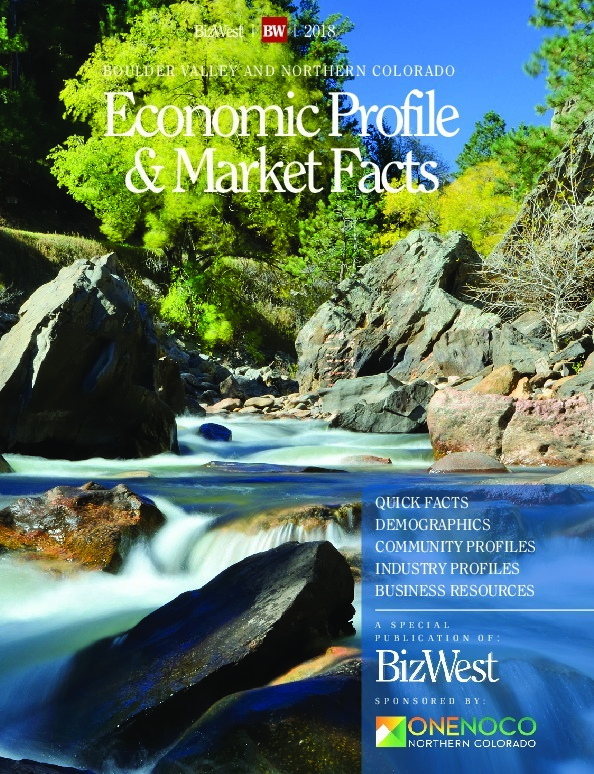 Distribution: Direct-mailed to paid subscribers of BizWest (Northern Colorado) and to companies within the directory. 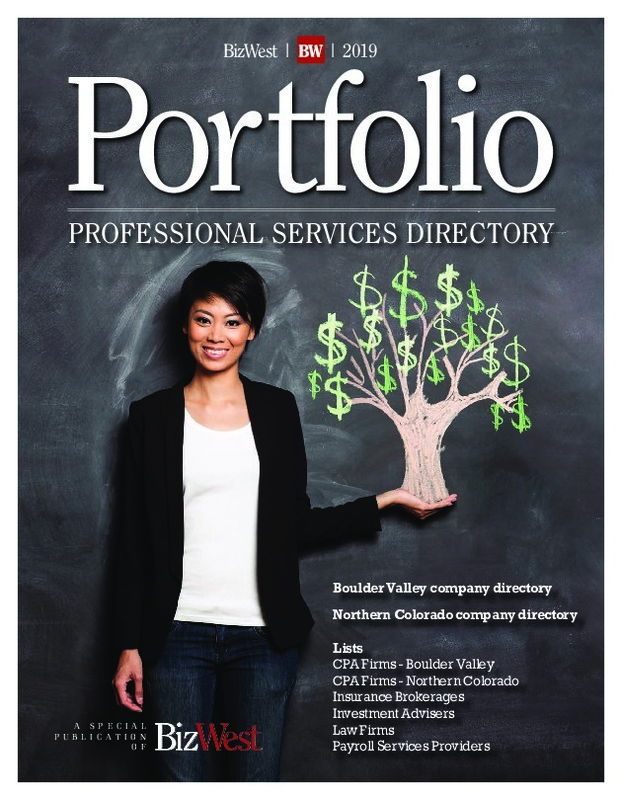 Portfolio is a comprehensive directory of the businesses in the finance and insurance industries in Boulder Valley and Northern Colorado. 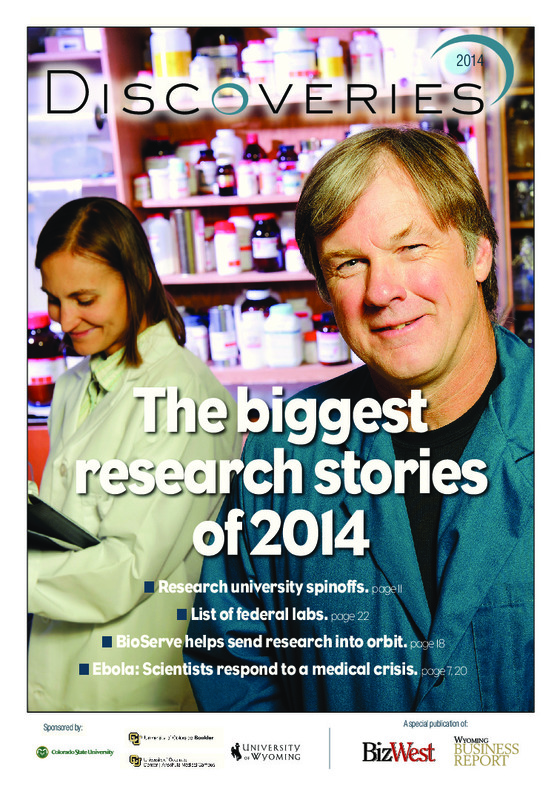 This annual publication showcases the research strengths of Colorado’s universities, federal laboratories and related industries. 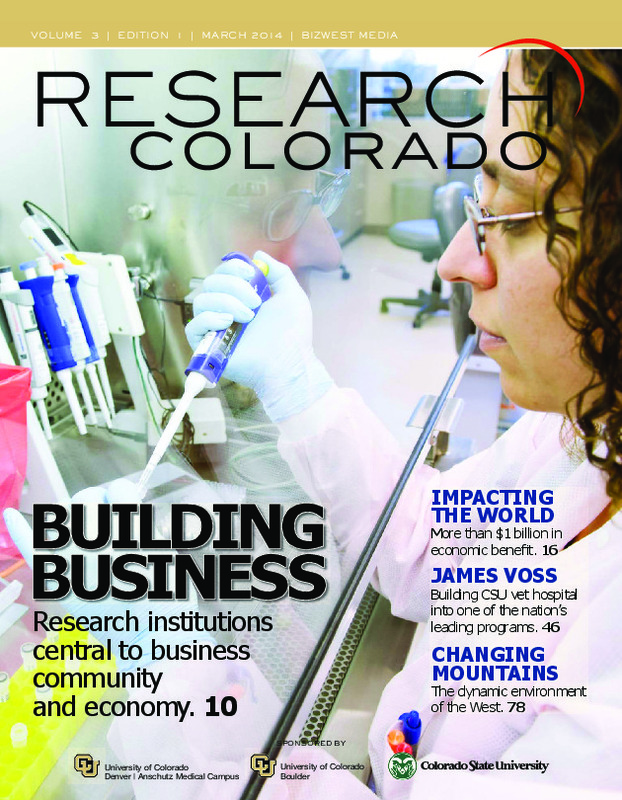 Research Colorado provides in-depth articles on key research initiatives, new technologies, spinoff companies, researchers, patents, technology transfer, venture capital, etc. Distribution: Directed-mailed with BizWest, with other distribution through Colorado State University, the University of Colorado Anschutz Medical Campus, the University of Colorado Boulder and federal laboratories. Small business owners can find everything they need to know about starting, running, growing and profiting from their companies in BizWest’s Small Business Guide. 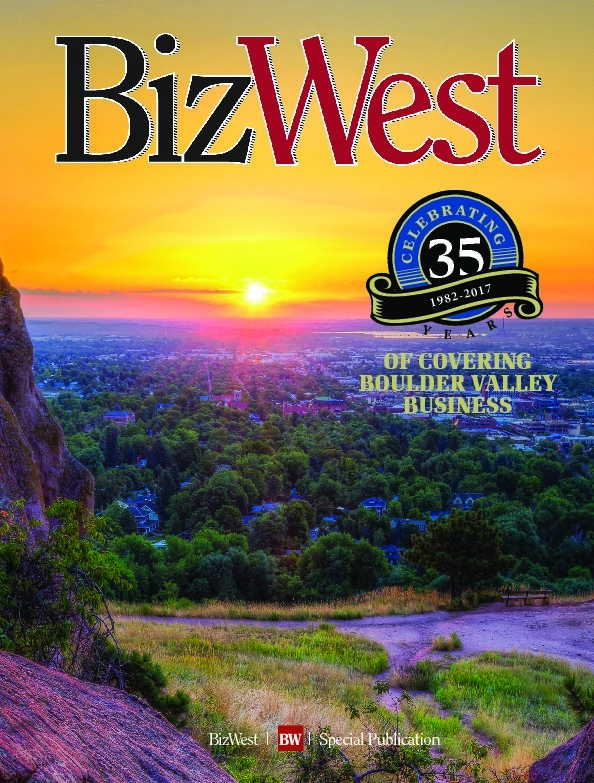 This valuable resource for entrepreneurs and CEOs of small to mid-sized companies is an annual supplement inserted into BizWest and is distributed to more than 17,000 business decision makers throughout Boulder Valley and Northern Colorado. 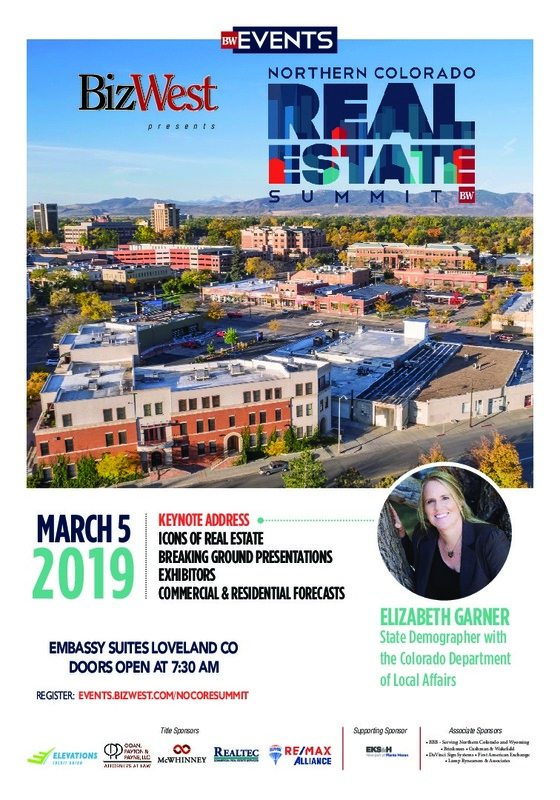 It is also available through North Front Range Small Business Development Centers, ensuring that it reaches targeted readers just when they are searching for vital products and services to grow their business. 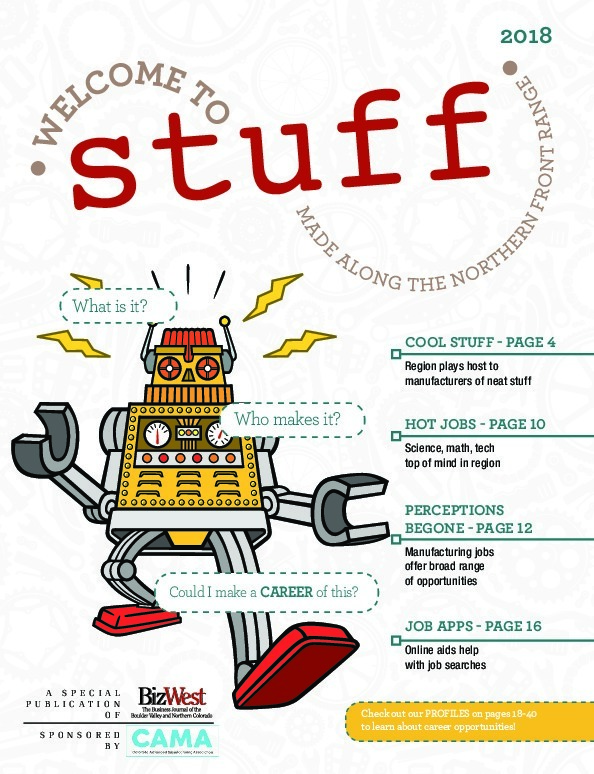 Publication aimed at the workforce of tomorrow – A Guide to Made in the Northern Front Range. Honoring and profiling Northern Colorado Women of Distinction, women committed to our community who exemplify both personal and professional success.